If you want a yearbook, please order by Friday, February 8. The deadline to order your 2019 Yearbook is coming up! There is only one week left to reserve your copy of the yearbook! 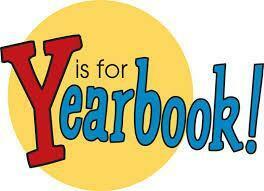 If you do not order your yearbook by Friday, Feb. 8, you are not guaranteed a yearbook. You MUST order by Feb. 8 to reserve your copy. Mrs. Owens might have extras at the end of the year, but it is not guaranteed. Bring in your $40 by Friday to reserve your copy! Visit here for more information on how to order.